Current stock is about 30 large boxes, 10 small boxes. Some things really are the stuff of legends. Bamboo Garden Icy-Crispy Dragon Beard Candy is made using a 2000-year old technique first introduced to the imperial court in ancient China. A skilled candy-maker repeatedly stretches and doubles a small mass of sugar and maltose until over 8000 fine strands are formed. 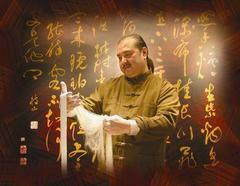 Finally, the strands are trimmed and wrapped around finely chopped, lightly roasted coconut, peanuts and sesame seeds. Because of the sensitivity to moisture and humidity, the treat must generally be consumed within 30-60 minutes of production before it starts to become sticky and lose its fine texture. It ordinarily does not travel well, so very few customers in the United States have had the opportunity to enjoy it. However, Mr. Wong, pictured on the right, perfected a process to package the product without resorting to artificial ingredients or preservatives. 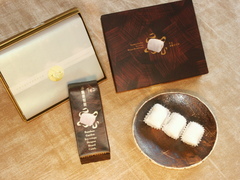 The beautiful packaging protects the product from damage and allows the candy to be stored as needed. 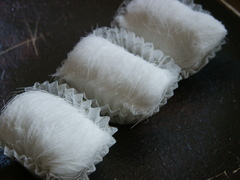 The candy, still handmade in the traditional way, has a delicate crispness, then melts on the tongue. It has a light sweetness that is well suited for high-quality tea or coffee. Each individual piece has nearly 3000 strands. We recommend chilling the candy before serving for an inimitable icy-crispy sensation. Bamboo Garden has been credited with reviving interest in the art of making this traditional confection, and has established an excellent reputation for quality and elegance in both Hong Kong and Singapore. 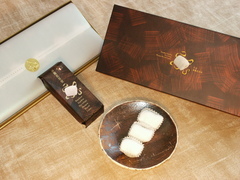 We like to serve this at dinner parties as a little after-meal treat, we frequently use it as a host or hostess gift, and we also frequently commemorate special occasions such as weddings, birthdays, and holidays with dragon beard candy. A video that shows how the candy was made can be found here. Limited quantities available. Call us at 800-810-9144 to reserve event or special occasion orders. Description: The large gift box has 18 pieces inside, wrapped in 6 sealed 3-piece tubes. The 9-piece gift box, with three 3-pc. tubes inside. 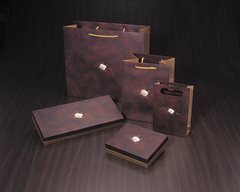 The 18-piece gift box, wrapped especially for someone special. "Just For You" printed in white. The word "Love" appears in faint light purple letters across the background. Note: The photo depicts the 9 pc size, but the wrapping style is the same. 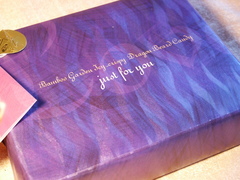 The 9-piece dragon beard candy box with special wrapping. A nice little romantic gift. "Just For You" is printed in white. The word "Love" appears in faint light purple letters across the background.